Making a good investment in a high quality spinning reel is of great importance and a quite critical decision, whether you are a professional angler or a casual one. Choosing a best Spinning Reel is really a tough job when you have a lot of options to choose from. The choices on the market are almost infinite, which makes it even harder to make the right decision. 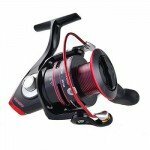 That’s why we have compiled a list of Top 10 Best Spinning Reel, to make sure you get well-informed before you make your purchase. 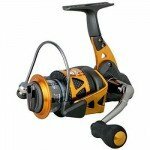 This list will help you to choose the Spinning Reel which suits you the most. So you can pick the best one which suits with your fishing experience. 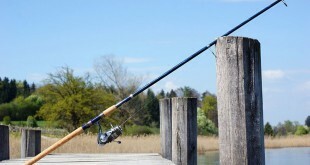 There are a number of factors to be considered before purchasing a spinning reel. Those factors are Water factor, Species factor, Construction, Drag System, The gear ratio,Weight and even price. 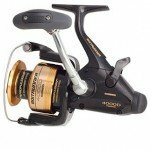 I suggest you to read our Spinning Reel Buying guide below before making a purchase. Reel Weight: 13.4 oz. to 39.8 oz. Maximum Drag: 18 lbs. to 24 lbs. Reel Weight: 10.4 oz. to 14.7 oz. As fishing technology progressed in order to best meet the needs and requirements of both serious and recreational fishermen/ women, best spinning reels became a favorite and quite popular for their flexibility and the ease of use. 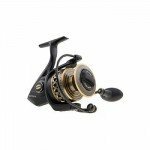 Considering all factors and things that need to be thought through before making your purchase, we should look though the following recommendations for the best quality spinning reels on the market that have the highest value for the price. 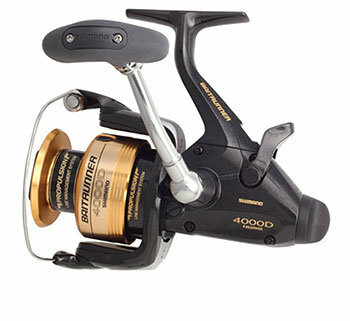 The Shimano Baitrunner D Spinning Reel with the gear ratio 4.8:1 is a newer upgraded version of their classic live bait reel. This spinning reel is most suitable for offshore fishing and suitable for both left hand and right hand retrieve. The Baitrunner D uses the advanced technology that allows the natural movement of the bait that is made possible with the free spooling with the closed bait which is allowed by the secondary drag system. Its frame is made of cold forged aluminum and graphite. The Baitrunner D has a maximum drag of 25 pounds or 7 kg, 3 ball bearings as well as 1 roller bearing, and the capacity of the line 12/550, 16/350 and 20/265. This amazing reel also features Super Stopper that enables the instant anti – reverse, the well known Propulsion Line Management system and A – RB Shielded ball bearings. The Shimano Baitrunner D also has Varispeed oscillation and Full S Concept design. What makes it outstanding is that not only does it have the best features among other Baitrunners thanks to the new advanced Shimano technology, but still, it preserves some advantages of older traditional models. The customers are also driven to the Baitrunner D on the first time looking at it because of its modern and sharp design and color. The Baitrunner D is highly evaluated by the buyers for its silence, smoothness and strong operation with a Dartainium II Drag Washers system that is water resistant and can sustain a serious haul by a large fish. If you search for the versatile superior quality spinning reel with amazing features, that is quite strong and durable, but practical and lightweight, this can be the right choice for you. The KastKing Sharky II Waterproof Spinning Reel might be one of the best value spinning reels on the market. This is the recent improved edition of the original Sharky reel with a number of enhanced features. The KastKing Sharky II is designed to endure harsh conditions, complete submersion for up to three minutes that will certainly not cause any damage and it is waterproof. Fishing reels are of course made to be around water, but when water enters the reel, especially saltwater, it can cause serious damage to the internal components, so the waterproof feature is quite a great advantage. This reel features ten high quality stainless steel ball bearings as well as an instant stop anti – reverse bearing. The KastKing Sharky II has a newly designed spool with waterproof carbon fiber drags, and is stronger than the previous models, but also 10% lighter. Its exceptional carbon fiber drag system offers some of the highest resistance and allows up to 41.5 lbs. / 19 kg. of maximum drag. The KastKing Sharky II also features a power launch lip which is a special part in the spool design that enables a longer distance cast. The precision mesh brass gears are upgraded and made 30% stronger than the original Sharky and the stainless steel main shaft makes the KastKing Sharky II quiet and smooth and adds to the quality of the performance and precision. With all these great features, what surprises buyers the most is the low and quite an affordable price. All this being considered, the KastKing Sharky II is a must – have and a great buy – you get a smooth, durable, high quality waterproof spinning reel with great performance and power for a very reasonable price. The PENN Spinfisher V Spinning Reel is one of the most adept and most recognizable saltwater spinning reels in the entire world. 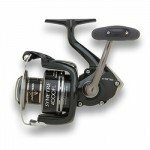 It has a full metal body, rotor and sideplate that maintain precise gear alignment even under heavy loads, and features the Water Tight Design which thoroughly protects the reel and prevents saltwater to get into the drag system or the gearbox. One of the features worth mentioning is the line capacity rings, so it is always easy to check how much line there is left during a vigorous angling fight. The PENN Spinfisher V Spinning Reel offers many new amazing and improved features. The sealed Slammer Drag system has a total of three HT-100 drag washers, one of which is on the top of the spool and the remaining two are underneath it. This system doubles up the pressure for handling the rough conditions, and makes The PENN Spinfisher V Spinning Reel one of the most powerful and reliable spinning reels on the market. Its new, thicker aluminum bail wire is highly improved and adds much to the overall strength and durability. Moreover, it features the infinite anti – reverse bearing for fish – stopping power and also friction trip ramp that would prevent any premature bail trip while casting. This spinning reel allows many options and versatility of use as it is suitable for near shore, offshore, inshore, surf angling – basically anywhere with saltwater. The PENN Spinfisher V Spinning Reel has even more great features that need to be mentioned, such as five ball bearings and the main shaft made of stainless steel, the main gear made of alloy. The innovative design and the combination of aluminum and graphite, makes the Okuma Trio High Speed Spinning Reel an extremely lightweight hybrid spinning reel. By using stamped instead of the standard aluminum, it was possible to make the stem of the reel significantly more rigid and to remove stress from the two graphite side plates, while keeping all the internal parts in the right alignment and keeping the reel lightweight. The Okuma Trio High Speed Spinning Reel is also the innovation and an upgrade of the previous version, with the improvement of the gear ratio from 5:1 to 6.2:1, which results in the retrieving process being more efficient and faster. As already mentioned above, the crossover construction of this spinning reel provides good strength created by aluminum and combining it with a lightweight material such as graphite allows anglers to control the reel with ease. What makes it even more amazing is that it includes new technologies, such as an exceptional drag system and advanced casting features. The Okuma Trio High Speed Spinning Reel also has a hybrid spool with graphite arbor and aluminum lip. Moreover, it features the Precision Dual Force Drag System (DFD) that uses both surfaces of the spool in order to maximally increase the high-end drag pressure, as well as the overall effectiveness and smoothness. It is important to mention that the entire reel is protected by Okuma’s Corrosion Resistant Coating making the Okuma Trio High Speed Spinning Reel perfectly durable inshore, in fresh water or saltwater. With all these features, the Okuma Trio High Speed Spinning Reel is truly versatile reel with cutting – edge performance that certainly sets itself apart from the rest. weight: Okuma Trio High Speed spool structure exploits a multi-piece production, with addition of the Aluminum drag system in a Drag Chamber they got constancy and flatness, while using a lightweight housing to reduce weight and unique styling. Hydro Block watertight drag seal: The reel is made with Japanese-oiled felt drag washers and a carbon fiber drag washer. The main feature of DFD system is to provide tightness on the spool from top to bottom, company makes it better at scattering heat. But the real perk is having Hydro Block watertight drag seals, these are best for protection. Hybrid Rotor: The rotor is built with printed aluminum and graphite, which they say, also helps keep the bending down. Which particularly vital when using braid. I did both of them during the tests. Heavy Duty Bail Wire: One other thing attractive about the Trio was the dense solid aluminum and anodized bail wire which looked brawny as hell. This longtime favorite spinning reel among anglers offers a quite solid performance and features Shimano’s ultra thin M compact body that greatly reduces weight and improves ergonomics, which means it is suitable for long fishing sessions without causing fatigue. Also, this fantastic reel incorporates the Shimano’s X – ship technology that enables smoothness and outstanding cranking power through creating high – efficiency rotation of the handle. The Shimano Symetre Spinning Reel is suitable not only for freshwater, but also for inshore saltwater, as it is constructed with graphite in the sideplate, rotor and frame. The Symetre’s Varispeed II oscillation system included in the Shimano Symetre Spinning Fishing Reel, allows layering the line flatter onto the spool in two different speeds, thus improving its castability. This spinning reel has the Propulsion Line Management System, the innovative system that enables the easier flow of the line of the reel. The Super Stopper II anti reverse is a feature that ensures a positive hook set every time you are fishing. It serves to eliminate backplay that results in instant hook-setting power. That helps to control movements easily with the right size rubber handle grip design. Furthermore, The Shimano Symetre Spinning Reel has a feature called Dyna Balance that removes wobble during the retrieve. Rotor weight is distributed with the use of computer balancing, and that help to reduce the vibrations of the reel and improve the rotation. The Shimano Symetre Spinning Fishing Reel also includes amazing features such as stainless steel bearings (4 + 1 A – RB) that allow the smooth and consistent performance. Furthermore, the frame is lighter and stronger thanks to the XGT7 technology. This new Revo SX spinning reel boasts with the modern cutting edge design and an Insert Molded C6 carbon body design that includes a one piece X-craftic aluminum gear box makes this latest and improved Revo SX significantly lighter than the previous models, while the excellent strength and rigidity have been maintained. This amazing upgrade makes it perfect for all day tournament fishing. The new machined aluminum gear design provides the improved feel of the gear and the exceptional durability. There is also a heavy rectangular porting in the spool which adds to the sports look, but even more importantly, it also helps in the reduction of any unnecessary weight. The Revo SX reel has 8 stainless steel bearings (HPCR) and also one roller bearing. Furthermore, the styling of this reel is just outstanding – it is predominantly black which gives it a feel of sleekness, then there is a touch of grey with red trims that gives the Abu Garcia Revo SX Spinning Reel a real sports appeal. The new rigid design also creates a strong and durable foundation that supports a new smoother-meshing, computer-optimized AMGearing machined aluminum gears, the most efficient gear system that provides precision for unparalleled smoothness and durability. The Abu Garcia Revo SX Spinning Reel features a lightweight graphite rotor with Everlast bail, which combined with the Rocket line management system, Slow Oscillation system and braid-ready machined aluminum spool with Rocket spool lip design results with the perfect control for any type of line being used. 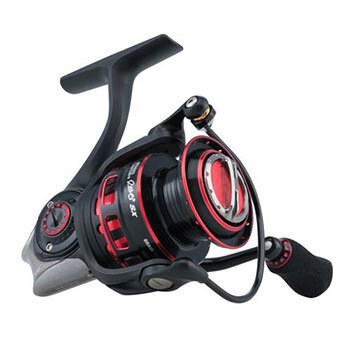 Other features and specifications of Abu Garcia Revo SX Spinning Reel are K- Clutch anti –reverse and Carbon Matrix hybrid drag system. The new Penn Clash Spinning Reel is the lightest Penn reel so far. This tech filled reel boasts with great performance, it is very smooth, durable and light enough to fish all day long. This fantastic addition to Penn’s arsenal features a full metal body that provides the ultimate strength and smooth operation over a long life. Smoothness is a result of the computer- controlled CNC gear technology system, the precision main gear made of aluminum and brass, and the brass pinion. The Penn Clash Spinning Reel is extremely durable and designed to withstand years of usage in saltwater conditions, and has eight-plus-one sealed ball bearings that add even more to the durability of the reel. It also features a slow oscillation system that provides a near – perfect and tight line lay that improves casting and reduces the possibility of the “wind knots” occurring. A HT – 100 drag system of carbon fiber drag washers is sealed and protected from corrosion and it is known for the effective heat dissipation and very smooth performance. Moreover, the 9 bearings that are sealed prevent any contaminants to get into the works and at the same time enable everything to move freely. This latest Penn Clash Spinning Reel includes the 8 – plus- one system, as already mentioned, that consists of eight stainless steel ball bearings plus an Instant Anti – Reverse bearing. Among other features, it is worth to mention a thick, heavy – duty aluminum bail wire and a tough braid – ready spool with Line Capacity Rings for easy visual checks. Another feature of the Penn Clash Spinning Reel that is important to mention is the Techno-Balanced rotor. The Penn Clash Spinning Reel with its sealed gear case and a heavy weight body is perfect for battling the surf, sand and rocks. Full Metal Body: The purpose of metal bodied reels is to remove twist that can occur in hard plastic reels when larger fish is on the other side. Computer Numeric Control (CNC) Gears: CNC makes the gears competition flawlessly every time resulting in a flatter retrieve. Leveline Oscillation System: This system keeps the spool balanced while spinning resulting in even line wraps on the rescue. HT-100 Carbon Fiber Drag Washers: Penn’s original drag washers offer top of the line technology to Clash drag systems. 8 Sealed Stainless Steel Bearings: More smoothness means more bearings. 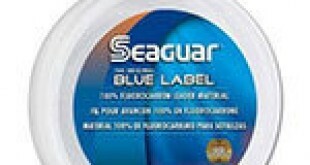 The sealed stainless steel aspect of these bearings make the reel special in saltwater. Strong Aluminum Bail: The Bail made of strong and tough aluminum wire. Anti-Reverse Bearing: This system avoid backlash and accomplish instant hook set with the anti-reverse bearing. Line Capacity Rings: Rings on the spool act as indicators notifying you of how much line is remaining. 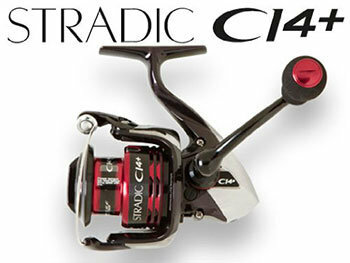 The Shimano Stradic CI4+ FB is the new upgraded version of the famous CI4 model. Using the new material makes this spinning reel ultra lightweight created for the lightweight fluorocarbon, braided or monofilament lines. The new material makes this spinning reel 245% stronger than previous versions and makes it a super durable and reliable reel very comfortable to use and on which you can count on. The Shimano Stradic CI4+ is over one and a half times stronger than normal Shimano’s XT -7 graphite and also more than 20% lighter. Another great improvement is that since CI4+ does not contain metal, it is completely impervious to rust, which makes it perfect even for saltwater and brackish environments. It is worth to mention that The Shimano Stradic CI4+ contains the X- Ship technology that on both ends supports the pinion gear with special bearings, and what is even more important is that this system ensures that all gears stay in the perfect alignment even under very heavy loads. This system also greatly improves the rotating performance by making it significantly smoother and reduces the wear and tear on drag, thus extending the life of the gear system. It is interesting that The Shimano Stradic CI4+ FB has a drive gear made of special cold forged aluminum and a pinion gear made of hardened brass. The combination of these materials has been proved to last even longer than the stainless steel that is normally used. Furthermore, the Magnumlite Rotor alleviates handle rotation for more precise control of the handle and optimum balance on retrieves. 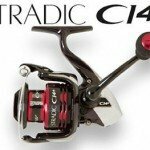 Rapid fire drag system of the Shimano Stradic CI4+ allows quick and very easy adjustments. The Penn Battle II Spinning Reel has the same HT – 100 carbon fiber drag system and a full metal body, sideplate and rotor, that is a well known feature of Penn spinning reels that the customers came to trust. This fantastic reel sets itself apart from other ordinary reels by having its HT100 Versa-Drag washers keyed into the spool and is therefore able to use both sides of each washer in order to provide more range, higher maximum drags and the great performance and smoothness. The Penn Battle II Spinning Reel comes in a diversity of sizes from the small 1000 to the bigger 8000, where 25000 and 6000 having been released quite recently. The Penn Battle II Spinning Reel has been designed to provide higher drag pressure, cast much further and resist corrosion better than any of its predecessors. It includes many amazing features, such 5 sealed stainless steel ball bearings for an incredibly smooth performance and an Instant Anti-Reverse bearing. Moreover, there is also a heavy-duty aluminum bail wire, a Superline spool which makes it possible to use braid without a monofilament backing, and line capacity rings that helps keep track of how much line there is still left. 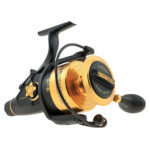 The Penn Battle II Spinning Reel is believed to be one of the best value on the market for the price. Other features of the Penn Battle II Spinning Reel that are important and need to be mentioned are five sealed stainless steel ball bearings plus one Instant Anti Reverse bearing, and finally, the famous Superline spool. Also, no backing is needed because of the rubber gasket that prevents superlines from slipping. With adding all these amazing features, The Penn Battle II Spinning Reel is certain to be one or the favorites among anglers. The Piscifun Destroyer Spinning Fishing Reel is another full metal body spinning reel. The Destroyer reel comes now with an improved Carbon fiber Multi – Disk drag system that offers the smooth, consistent drag pressure throughout the entire drag setting and is strong and durable enough to keep even large fish on the line. In addition to this amazing feature, this top quality reel comes with 6 high quality stainless steel ball bearings system that greatly increase the strength and durability and also prevent corrosion. Also the hybrid body is made up of both aluminum and graphite body components that also add even more to the strength and long durability. The Piscifun Destroyer Spinning Fishing Reel is an updated version of the well known series of Piscifun KA Spinning Reels. This reel is truly one of the best on the market, as it is made of the finest, high – quality materials, and for this reason it delivers an outstanding performance and above all, its price is completely affordable compared to other available options. The Piscifun Destroyer Spinning Fishing Reel also features the flat EVA Handle Knob that provides a tactile grip and superior ergonomics which allows not only greater control but also comfort, and makes it suitable even for longer fishing sessions. 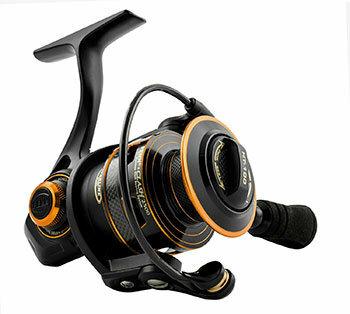 Moreover, The Piscifun Destroyer Spinning Fishing Reel can easily be configured for both right – or left – hand retrieve. Other features include: instant anti-reverse bearing, stainless steel main shaft and components resistant to corrosion, the big diameter line roller coated with titanium. Before making your decision, you need to take certain factors into consideration in order to know how to choose a right reel for your specific needs. Water factor: When you are looking for the perfect spinning reel, the first thing you need to keep in mind is the environment where you are going to use it – what may be perfect for fishing on rivers or lakes may not work at all for saltwater fishing. This is where the size of the reel needs to be considered, together with the type of the pole it is paired with. If a reel is too small, the fish will escape, but on the other hand, if it is too big it will just be in the way. Knowing what to look for will make your purchase successful and keep you from spending more money than you need to. For fresh water fishing, light to medium spinning reels are most suitable, and for saltwater fishing it is preferable to use the heavier ones. Species factor: Apart from the environmental conditions, the species you are targeting will be one of the deciding factors when choosing your spinning reel. Even more specifically, the amount and the size of line you need for landing the intended fish. For example, if you are targeting large species or more aggressive species, you will need a reel with sufficient capacity to allow long runs and a drag system that could handle the heat. Construction: The greatest challenge for the producers has always been to construct reels that would be light enough for longer periods of casting but durable enough to sustain the torque produced by a large fish. The most durable reels have all their components entirely made of metal, while those more sophisticated and high – end are made of alloys that provide strength and durability to light weight reels. Also, latest models are mostly waterproof, corrosion resistant and sealed thus preventing anything of getting inside of the workings, which ensures that they will be long – lasting even when used in harsher environments or saltwater. If you are both new to the fishing world, or even if you are an experienced angler, it is useful to get informed on the price, durability, ease of use, but also technical specifications such as drag system or gear ratio. Purchasing a spinning reel is a vital investment and it is not just about getting the first reel you find for an affordable price. Fishing is a process where small details are of great importance, and for this reason, there are no anglers that regretted buying a high quality reel, but a number of those who bought average quality reels they no longer use. In order to make a good investment in a high quality spinning reel appropriate for your requirements, there are important things you need to consider. Price: For most people price can be a deciding factor when making any kind of investment. They set up a certain budget and look for options in that price range. Sometimes anglers forgo the fact that some of the most amazing features are not present in ordinary models. 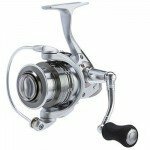 For this reason, it is better to go a little above the price range in order to afford a truly amazing spinning reel with various features using advanced technologies, than to make a bad investment in a reel that does not meet all your requirements. Moreover, many latest models offer greatly improved and added features at completely affordable prices. Drag System: This feature is among the most important ones to consider before making the purchase and it indicates how easy it will be to control the fish. Latest models are highly improved with the use of advanced technologies and are designed in such way as to provide maximum control and have taken the smoothness of the performance almost to the perfection. They allow the drag pressure to be easily adjusted during the tussle with even largest fish. It is important that the drag is easy to adjust and at the same time strong and tight enough to remain where adjusted. The gear ratio: The gear ratio of a spinning reel will decide how fast the line will be retrieved, and also how much cranking power you will have. Gear ratio can be problematic, depending on the species you are targeting, but even more on your style of fishing. Fast retrieve reels are reels with a ratio of 5.5:1 to 6.3:1. If you need more cranking power, it is advisable to choose a reel with a lower ratio, for example 4.1:1. The numbers are quite simple to understand. The first number shows how many times the spool will rotate for every crank of the reel’s handle. So for example, the spool of a reel with a 6.3:1 ratio will rotate around 6.3 times for every turn of the reel’s handle. With this in mind, the best option would probably be a spinning reel with a medium gear ratio, as it is more versatile and adjustable. Weight: Weight is another important factor and quite an obvious thing to consider when deciding on investing in a reel for one simple reason — fatigue. When a reel is lighter, less strain is put on the wrist and forearm which is crucial for those anglers that spend a great amount of time on the water. Most new models are made of such materials that are extremely lightweight, but still extremely strong and durable. It is important to choose a lightweight spinning reel as handling will be significantly easier and much more comfortable and effective. Spinning reels are much greater option for effective fishing than bait casting for several reasons. First of all, by using spinning reel anglers are able to throw light lures farther as it provides much greater control or the cast. Also, casting into the wind is by far more effective with the spinning reel. Secondly, if you want to skip lures without too much practice or backlashes, spinning reels are the right choice, as they make it easy to skip lures even under piers, docks, bushes etc. Another great advantage of spinning reels is that they allow the drag to be easily adjusted during the fight with a fish. Spinning reels are convenient for both left – handed and right – handed anglers and can be easily adjusted to fit anyone’s needs. All these and many more advantages are the reason buyers invest in the latest models of spinning reels with a great number of amazing features and designed by latest technological specifications. Based on everything discussed and considered above, no buyer will regret investing in any of the above mentioned best spinning reels. They are all newest and latest additions to the market and brag with features and technologies some of which have never been used before. They are designed to sustain various environments and are made of high quality and extremely durable materials, but are at the same time greatly lighter and more convenient to use than older models. They are suitable for beginners and professionals, they are easy to handle, comfortable to use for long periods and very long – lasting. Thanks Johnson for the nice comparison table. I have a question to you. 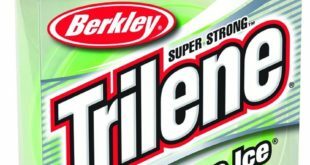 Would you please tell me what is best for bass fishing? A Spinning reel or Baitcasting reel?